KettenWulf is the leading manufacturer of high quality conveyor chains and transport chains, covering over a wide range of applications in the most varied industries. Munir Associates is sole authorised representative of KettenWulf in Pakistan. For almost any conveying process in the bulk material handling industry, KettenWulf offers optimally adapted chains. Whether it is for the transportation of coarse or fine bulk materials or materials with corrosive or abrasive properties – we supply you with chains and sprockets for conveying almost any bulk material. KettenWulf Chains have gained a reputation as the longest lasting, most reliable chains available for all ranges of bulk material handling applications. 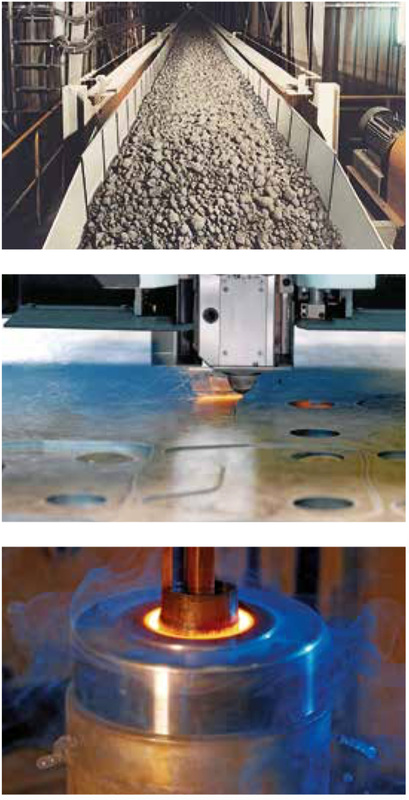 All KettenWulf products meet the highest demands when it comes to wear resistance, dynamic loads and conveying of abrasive media. To pull the cell conveyors, bush conveyor chains with single or double sided attachment brackets are used as single or double strand chains. The quality requirements for our chains, which are usually adapted to the individual requirements of the conveyor systems, provides our customer with a decisive competitive edge. Bush conveyor chains are also used in pan conveyors for bucket or bunker discharge systems, the so-called slat conveyors. In this application bush conveyor chains are used as means of traction and transportation and are subject to extreme shock loads in combination with abrasive environmental or material influences. With our quality claim we can guarantee you the sound design of our products to achieve the appropriate service life even under these extreme application conditions. 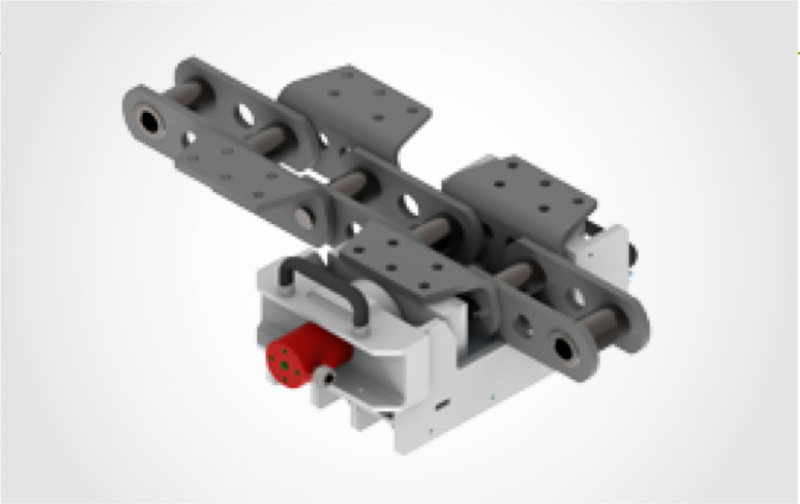 Conveyor chains with pitches of 160 mm, 250 mm, 315 mm and larger and breaking loads of 200 to 3.000 kN permit the optimum technical design for a multitude of customer-specific requirements. Storing and homogenising bulk material, in particular of inhomogeneous raw materials, such as limestone or coal, is done with the aid of reclaimer systems of varying design in the bulk material handling industry. Here KettenWulf offers a wide selection of drive and conveyor chains designed specifically for the extreme environmental conditions, such as high shock loads, abrasive and corrosive media, heat and dust. For use in abrasive and corrosive media KettenWulf has developed various sealing systems specifically for the respective application. These seals protect the link area against ingress of dirt, moisture and other media. Service life can be extended with simultaneous reduction of the required maintenance. We also offer reclaimer chains with external rollers on ball bearings. These rollers are lubricated for life by special sealing elements and can thus be operated maintenance-free. Another advantage of this production method is the option to replace the roller subject to heavy loads under operation independently of the reclaimer chain and thus further reduce the maintenance effort. In combination with one of the above-mentioned sealing systems the link areas of the reclaimer chain and the rollers can be protected optimally against harmful environmental influences increasing the service life and reducing maintenance. Long life chains in all areas KettenWulf special chains and sprockets enable fault-free operation in the most varied storage systems for bulk material storage, for example in: bridge reclaimer, portal reclaimer, semi-portal reclaimer, side reclaimers and round mixing beds. The use of KettenWulf conveyor chains for vertical conveying has become an essential link between production processes in many industries. KettenWulf offers individual solutions for high performance bucket elevator chains in double strand and central designs, using highly durable and specialised manufacturing methods. Chain bucket elevators are mainly used for the vertical conveying of bulk materials, for silo feeding and in clinker milling. KettenWulf bucket elevator chains meet the highest requirements for wear resistance and dynamic loads, especially for conveying abrasive media. The bucket elevator chains are for example used in cement factories, asphalt factories, fertiliser production and steel works as well as in many other industries. 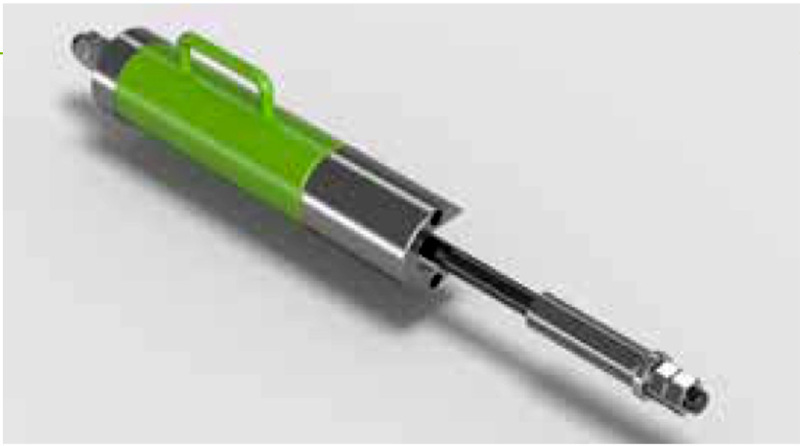 To ensure easy and professional assembly KettenWulf supplies the matching assembly and removal tools for the chain upon request. 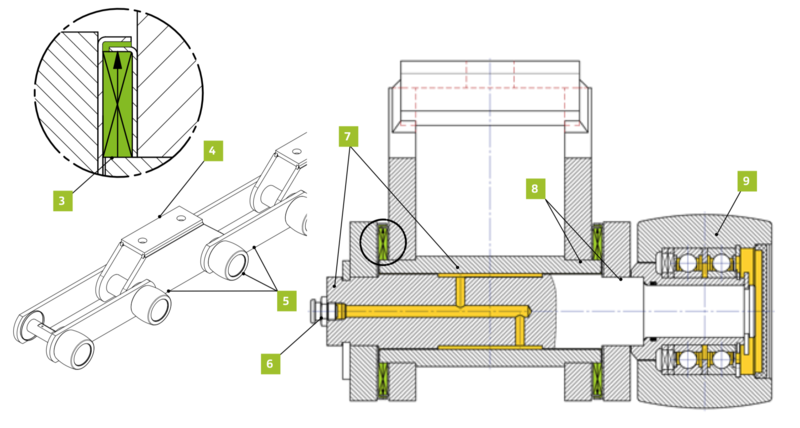 The tool design complies with the statutory standards and safety regulations. The scope of delivery includes also the corresponding user manual for the tool. Once a sprocket reaches its limit of wear it must be replaced. The wear of the tooth gap can be checked using the tooth shape template supplied. 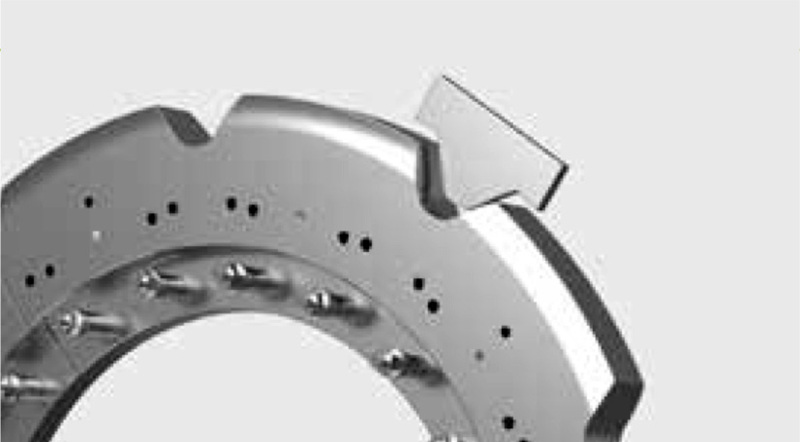 For the easier assembly and removal of sprocket wheels which can be attached to the flange using clamping sleeves, a special draw-out device is used which has been developed to match the supplied sprocket wheel. Munir Associates is a leading industrial equipment supplier based in the Pakistan. For over 30 years, Munir Associates, as an expanding engineering company, has stood for quality, reliability and flexibility and has earned an industry wide reputation for excellence with goal to deliver the most usable, cost effective & accurate business relevant solutions. Munir Associates © Copyright | All Rights Reserved.